Between meetings, sending emails, and finishing that last pile of paperwork, the hours fly by as you sit hunched over your desk. Lunchtime has come and gone and as quitting time draws near, you realize that even though you wanted to stay active, the only activity you have had all day is the occasional trip to the water cooler. Your back aches, your legs fell asleep hours ago, your fingers are beginning to cramp, and now it’s time to sit in rush-hour traffic all the way home. Unfortunately, this is the daily experience of many individuals all over the world. Those who work 9-5 jobs have been found to be sedentary up to 76% of their workday. Because such a large amount of the workforce is employed in an office setting, researchers have become increasingly concerned with the long-term effects of a sedentary work lifestyle on physical health. It comes as no surprise that a lack of physical activity can lead to serious health issues, including cardiovascular disease and metabolic diseases such as diabetes. 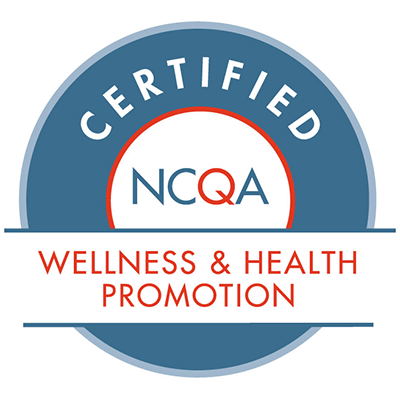 In light of this information, some employers are enforcing workplace activity programs (often called Employee Wellness Programs) that encourage employees to remain physically active while at work and give employees and administrators access to a wellness portal. These programs create new trends in office settings that provide workers with opportunities to stay active without interrupting their workday. While employee wellness programs are on the rise in the U.S., many companies have not yet jumped on the bandwagon. If your employer doesn’t currently offer an employee wellness program, consider creating your own healthy fitness routine at work. There are many simple ways to add activity to your daily work grind so that you can remain healthy and efficient. If you don’t have time or space in your office for yoga, get a similar experience by stretching at your desk. Sit up tall and stretch your neck by tilting your head side to side, so that your ears almost touch your shoulders. Do this several times on each side. Drop your chin toward your chest and roll your head gently from side to side. Shrug your shoulders up to your ears, hold for a few seconds, then release. Repeat several times. Bend one knee and hug it close to your chest for 5-10 seconds. Release and repeat with the other leg. Once you’re feeling limber, upgrade to some more ambitious exercises. These will get your blood flowing while you take a break from sitting at your desk. Do squats by standing up from your chair and sitting back down. Do this at least ten times. If you feel silly lying down on the office floor, do standing push-ups. Stand about two feet away from your desk or a sturdy wall and either hold the edge of your desk or place your palms on the wall in front of you. Bend your elbows until you are leaning over your desk or your face comes close to the wall. Do three sets of ten. Jog or run in place for about 45 seconds, and repeat five times. To step it up a notch, bring your knees up as high as you can in front of you with each step. Pretend to jump rope by doing light hops in place and moving your arms as if you were holding a rope. Do lunges, either in your cubicle or while walking down a hallway. With each step, bend the toes of your back foot and lower your knee to the ground. Do at least to four sets of ten, or two trips to the copy room. This is just a short list of some of the ways to stay active at work; there are plenty more ideas out there for you to discover. The most important thing is that you do these activities consistently, not just once or twice a week. You probably spend a minimum of forty hours a week sitting down with very few breaks for physical activity. This kind of sedentary behavior may seem harmless but can be responsible for several chronic illnesses. Don’t neglect your work, but pay attention to your body. That expenditure report can wait ten minutes for the sake of your health. Have a question about our portals? Want to request a live demo to see how our products work? Get in touch and we'll get back to you right away. The overall health and wellness of a company’s workforce is vital to the success of the business. 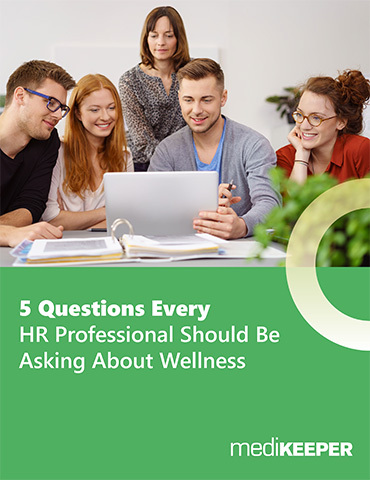 There are five questions that HR professional should be asking about employee wellness to help set your company on the path to better health. Download this white paper to lean more.